In today’s #AskExcelinEd, we’re sharing a touching new video and some great resources on our comprehensive reading intervention policy. I hope these inspire and equip you to prioritize early literacy for children in your state! 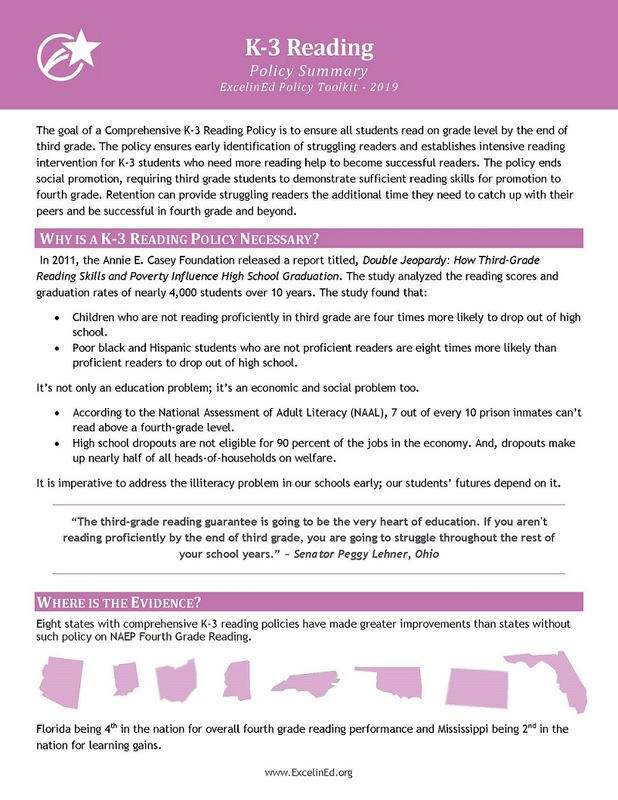 Hear why these policymakers and education advocates prioritize reading with their families. The ability to read opens doors and opportunities every child deserves. 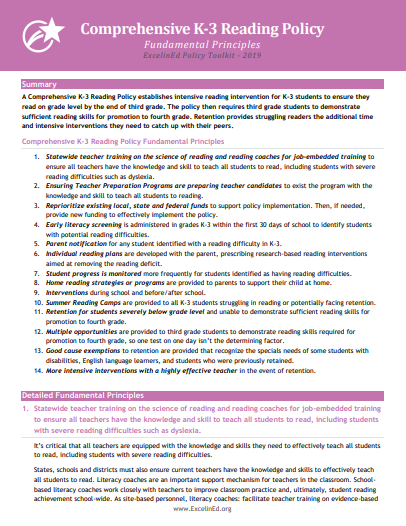 And ExcelinEd’s comprehensive K-3 reading policy can help states reach more students with this life-changing skill. 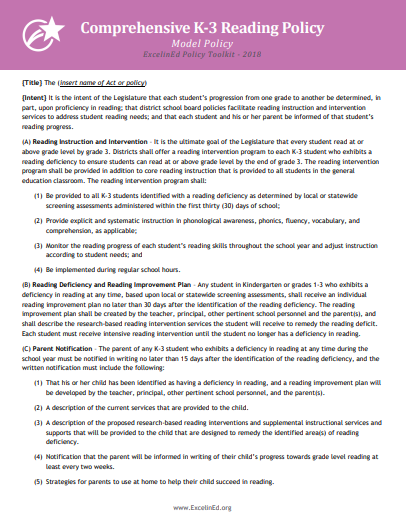 The policy begins in kindergarten providing specialized reading support to ensure all students are on the path to grade level reading by the end of third grade. Explore the resources below or visit ExcelinEd.org/Quality/EarlyLiteracy to learn more!